“To explore strange new worlds, to seek out new life and new civilizations. Gene Roddenberry had it right all those years ago. Back in the 60’s, it was easy to get excited about space. Orbiting the earth, traveling to the moon and back. It was all so new. The Apollo missions sparked the imagination of the world. Each spaceward moment was history in the making. The next big leap forward happened with the shuttle missions. 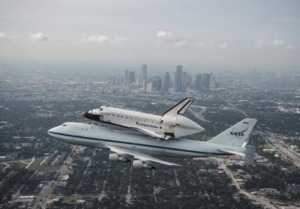 In the early, to mid-90’s I was working on the 47th floor of a skyscraper in Downtown Houston and remember looking out of my window seeing the shuttle piggyback on a jumbo jet as it flew from the California landing site to Florida where liftoffs occurred. Once the shuttle program was dismantled, it seemed like the excitement of space travel was muted. Or at least that was how it felt to me. That doesn’t mean there weren’t big scientific breakthroughs occurring. Afterall, the International Space Station is pretty darn exciting. What was missing was the key visuals and unifying experiences that Apollo and Space Shuttle missions inspired in the world. Experiences that would inspire a new generation of scientists and engineers to “boldly go”. Let’s fast forward to 2018. Space X launches a red Tesla Roadster inside the new Falcon Heavy rocket and once again the world is captivated and inspired by space travel. Do we as human beings need spectacles like a car in outer space? Sure, why not? Were we as a global community unified for a single moment by witnessing Falcon Heavy launch, dual side booster landings and the deployment of Starman inside the red Tesla Roadster? YES!!! It was a reminder that humanity can still do amazing things. A reminder that we are one people. Humans on a single planet called Earth. And together there is nothing we cannot accomplish. We’re kind of awesome like that. Grab a cup of coffee and join the fun! Woohoo Success! Now check your email to confirm your subscription. If it hasn't shown up yet, then go grab another cup of brew to allow it time to travel to your neck of the woods. Oh, you're back already? Is the confirmation email still not there? Hmmmm.....better check your spam messages. Please do add this email address to your "safe sender" list. It's a cozy place and we rather like cozy places. Cheers!